MARTIN BUTLIN is Keeper of the Historic British Collection at the Tate Gallery, London, author of numerous works on Blake and Turner, and frequent contributor to Blake. His catalogue of The Paintings and Drawings of William Blake was published by Yale University Press earlier this year. DETLEF DÖRRBECKER teaches art history at the University of Trier. ROBERT N. ESSICK (Professor of English, University of California, Riverside) collects and writes about Blake’s engravings. 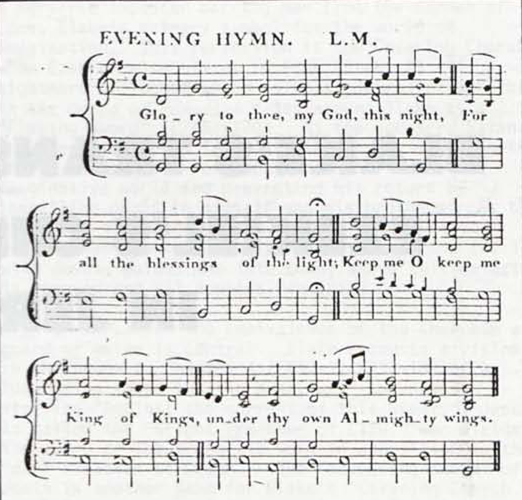 ANTHONY J. HARDING recently spent part of his sabbatical year in London, Cambridge and Edinburgh doing research on biblical inspiration in its relation to Romantic poetics, and attending concerts after hours. He has published papers on Coleridge, John Sterling and James Marsh, and has an article on Thoreau and H. N. Coleridge’s Greek Classic Poets forthcoming in Studies in Romanticism. DAVID STEN HERRSTROM’S essay on Blake’s Laocoön is forthcoming in Bucknell Review and on Blake and eighteenth-century discussions of the hieroglyph in Blake Studies. His poems have appeared in a number of magazines, including Nimrod and USI Worksheets, and he is consultant in writing for Bell Laboratories. NELSON HILTON (University of Gerogia) is Review Editor for Blake. His most recent article, “Spears, Spheres, and Spiritual Tears: Blake’s Poetry as The Tyger 11. 17-20,” is forthcoming in PQ. JENIJOY LA BELLE is an Associate Professor of Literature at the California Institute of Technology. THOMAS L. MINNICK is Assistant Dean of University College at The Ohio State University and Bibliographer for Blake/An Illustrated Quarterly. JAMES A. WINN, Associate Professor of English at Yale, is the author of Unsuspected Eloquence: A History of the Relations between Poetry and Music (Yale Univ. 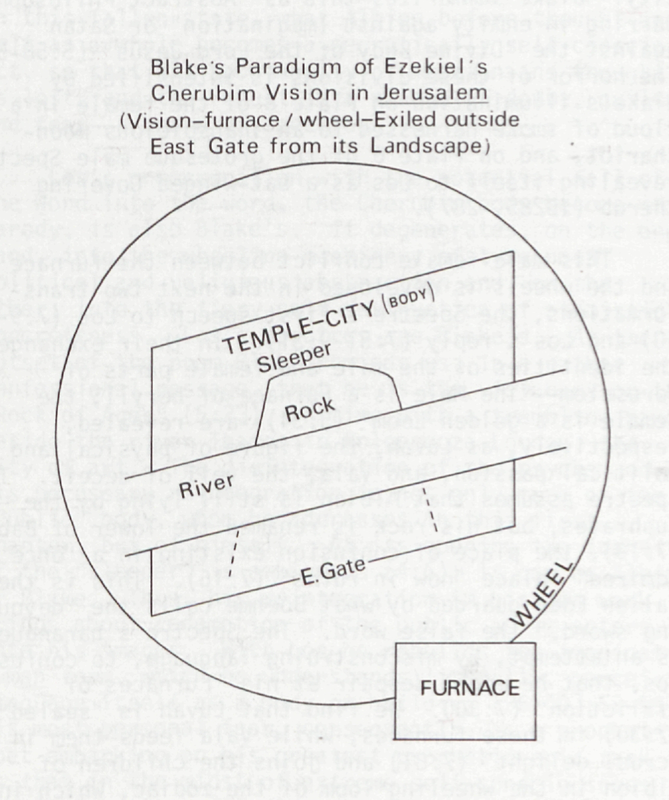 Press, 1981) and A Window in the Bosom: The Letters of Alexander Pope (Archon, 1977). A serious flute player, he has recently recorded two Couperin Concerts Royaux for Musical Heritage Society. MICHAEL C. YOUNG, an instructor in English at Tulane University, is completing her dissertation on confessional literature from Rousseau to Freud under Stuart Curran, Univ. of Pennsylvania. EDITORS: Morris Eaves, Univ. of New Mexico, and Morton D. Paley, Univ. of California, Berkeley. BIBLIOGRAPHER: Thomas L. Minnick, Ohio State Univ. REVIEW EDITOR: Nelson Hilton, Univ. of Georgia, Athens. PRODUCTION OFFICE: Morris Eaves, Department of English, University of New Mexico, Albuquerque NM 87131, TELEPHONE 505/277-3103. Thomas L. Minnick, University College, Ohio State University, 1050 Carmack Road, Columbus, Ohio 43210. Frances A. Carey, Department of Prints and Drawings British Museum, Great Russell Street, London WC1B 3DG, England. EDITORIAL ASSISTANT IN CHARGE: Marcy Erickson, Univ. of New Mexico. EDITORIAL ASSISTANTS: Wayne Erickson, Wendy Jones, James Warwick, Univ. of New Mexico. SUBSCRIPTIONS are $15.00 for 1 year, 1 volume, 4 issues. Special rates for individuals, $12.00, surface mail. Air mail subscriptions are $10.00 more than surface mail subscriptions. U.S. currency or international money order if possible. Make checks payable to Blake/An Illustrated Quarterly. Address all subscription orders and related communications to the Circulation Mgr., Marcy Erickson, Blake, Dept. of English, Univ. of New Mexico, Albuquerque, New Mexico 87131, USA. Some BACK ISSUES are available. Address Marcy Erickson for a list of issues and prices. MANUSCRIPTS are welcome. Send two copies, typed and documented according to the forms suggested in the MLA Style Sheet, 2nd. ed., to either of the editors: Morris Eaves, Dept. of English, Univ. of New Mexico, Albuquerque, N.M. 87131; Morton D. Paley, Dept. of English, Univ. of California, Berkeley, California 94720.
INTERNATIONAL SERIAL NUMBER is 0006-453x. 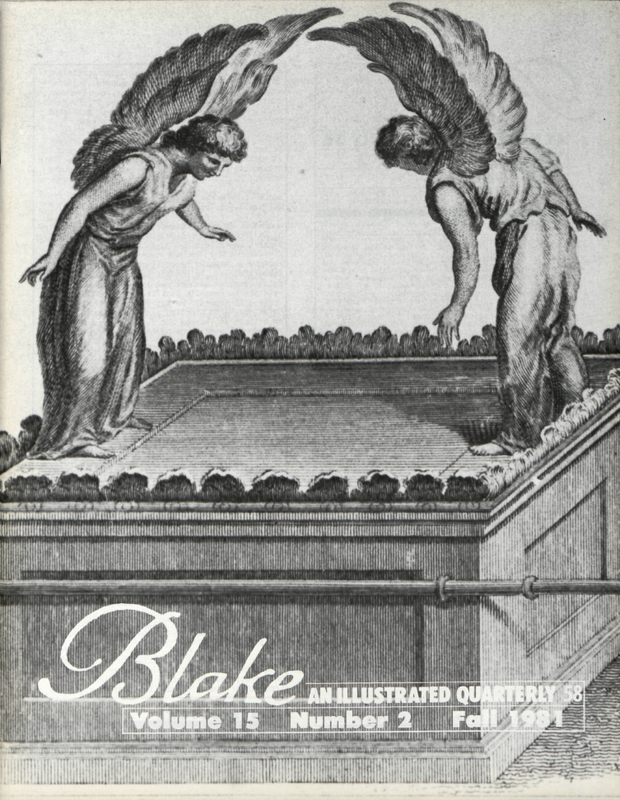 Blake/An Illustrated Quarterly is INDEXED in the Modern Language Association’s International Bibliography, the Modern Humanities Research Association’s Annual Bibliography of English Language and Literature, English Language Notes’ annual Romantic bibliography, ARTbibliographies MODERN, American Humanities Index, (Whitson Pub. ), and the Arts and Humanities Citation Index.